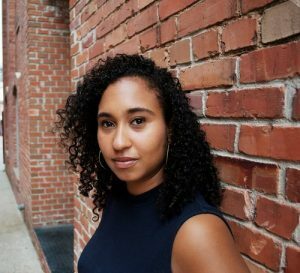 Naima Coster, author and Visiting Assistant Professor in Creative Writing and Writing, will read from her new novel, Halsey Street, for the Dillon Johnston Writers Reading Series on Wednesday, February 28. The reading will begin at 6 p.m. in Hanes Art Gallery in Scales Fine Arts Center and be followed by a book signing and reception. This event is open to the campus community and the wider public. 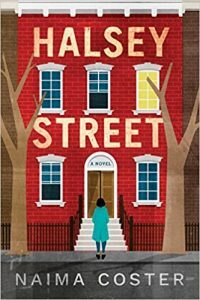 Naima Coster is the author of Halsey Street, a story of family, loss, and renewal, set in a rapidly gentrifying Brooklyn. Her work has appeared in the New York Times, Arts & Letters, Lit Hub, Catapult, The Rumpus, Aster(ix), A Practical Wedding, and Guernica, and has been anthologized in The Best of Kweli and This is the Place: Women Writing About Home. Naima is the recipient of numerous awards, most recently the 2017 Cosmonauts Avenue Nonfiction Prize, judged by Roxane Gay. Naima studied creative writing at Yale, Fordham University, and Columbia University, where she earned her MFA. She has taught writing to students in prison, youth programs, and universities. She currently teaches at Wake Forest University and is a Senior Fiction Editor at Kweli. Naima tweets as @zafatista and writes the newsletter, Bloom How Must. The Dillon Johnston Writers Reading Series, named after the founder of Wake Forest University Press, brings to campus established and emerging fiction writers, poets, and writers of creative nonfiction each year to give literary readings and visit creative-writing workshops in the Creative Writing Minor and other courses at Wake Forest.